Well, it's a new year and that means a new start! I started offering sponsorships a few weeks ago and now I'm ready to put my heart and soul into helping you reaching out to the (frankly awesome) readers of Becky Bedbug. 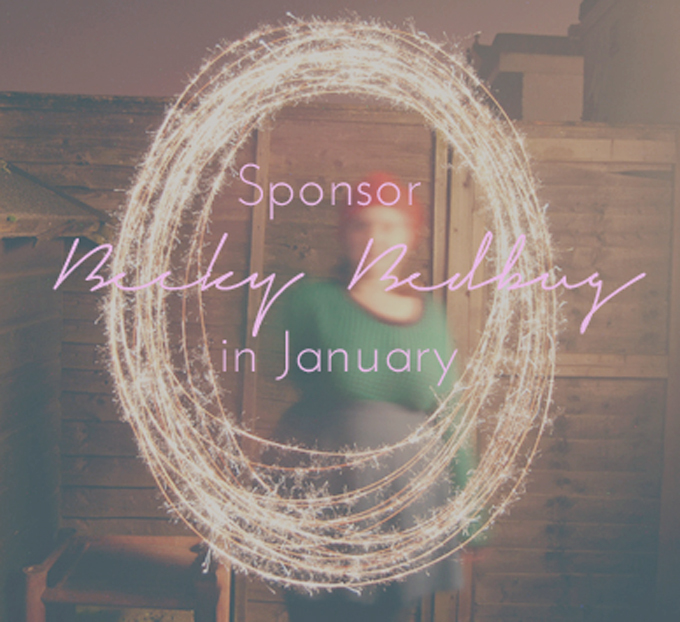 All sponsors get an advert in my sidebar for 30 days, reaching out to my 700 followers on GFC and Bloglovin'. You also get a shout out on Twitter and, with the Dinosaur Bear, Daddy Bear and Mummy Bear options, featured in a sponsor post on Becky Bedbug. Full details can be found on my sponsorship page. I'm also happy to host giveaways and sponsorships, so I look forward to having you onboard!